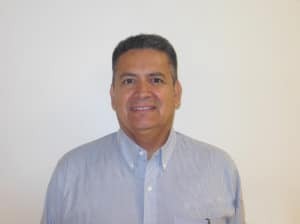 An event that is intended to facilitate the connection between manufacturers and potential suppliers is scheduled to take place at the Baja California Center near Rosarito this coming November. The Advanced Manufacturing Meetings Summit will take place from the second to the fourth day of that month. The purpose of the upcoming business get together is to make new, and to strengthen existing, linkages between suppliers in the Cali-Baja Bi-National Mega-Region, and companies in the Tijuana-Baja California manufacturing sectors in the aerospace, medical device, electronics and automotive industries. organizers of the gathering, Advanced Business Events, it is expected that three hundred companies from a diversity of geographical locations will be in attendance. existing and aspiring regional manufacturers and supply chain participants, while the B2B meetings will consist of “speed-dating” style micro-meetings whose purpose it is make numerous rapid, but meaningful, introductions between potential buyers and sellers of industrial goods and services. The director of investment promotion for the Ministry of Economic Development for the State of Baja California, Roberto Durazo, has commented that the timing of the event is especially propitious, due to the fact that “The economic slowdown in China and rising labor costs there are increasingly pushing investors to look toward Mexico for manufacturing opportunities.” Durazo also stressed that events like this are critical to the continued development and prosperity of the Cali-Baja Bi-National Mega-Region as a unified entity. He also has opined that the connections that are made at the Advanced Manufacturing Meetings Summit that translate into quantifiable business transactions will help the region’s manufacturer’s “to cut costs and to boost the economies on both sides of the border.” Sourcing more raw materials and components locally can only benefit the regions competitive position in an integrated, global economy. Individuals and companies that are interested in learning more about November’s Advanced Manufacturing Meetings Summit should review the event website.